Nitecore’s New i2 Intellicharger is an affordable, simple, and efficient two bay charger with twice the charging speed from the original i2 charger. The New i2 Charger is capable of charging numerous IMR, Li-ion, LiFePO4, Ni-Mh, and Ni-Cd batteries, and is optimized for IMR cells. With the Active Current Distribution (ACD) Technology, the New i2 automatically identifies battery type and capacity, and applies an appropriate charging current up to 1A. The New i2 is also able to recover low voltage cells with the new Lithium Battery Recovery Mode, bringing new life to over drained cells. Nitecore has implemented numerous safety features such as: over charge protection, over time protection, short circuit protection, reverse polarity protection, and a fire resistant Polycarbonate housing. 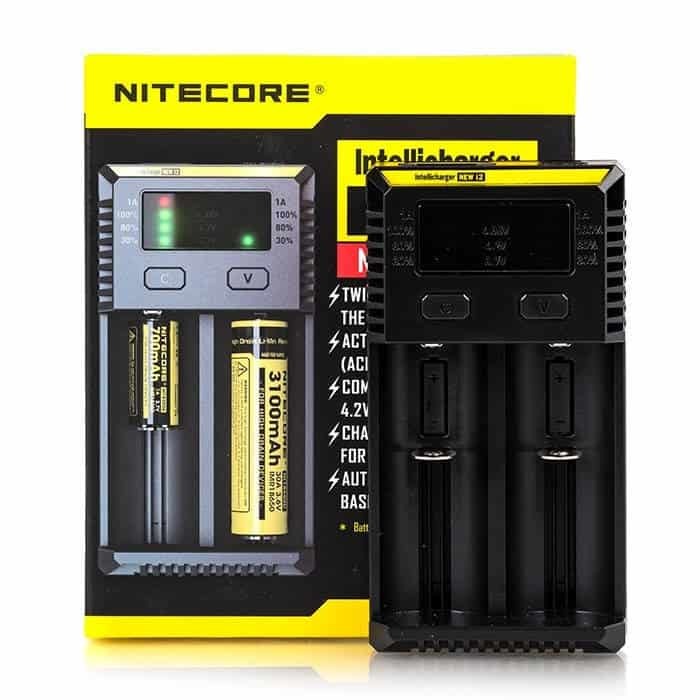 The Nitecore New i2 Intellicharger is an affordable, fast charging, and safe two bay charger for all your rechargeable batteries.